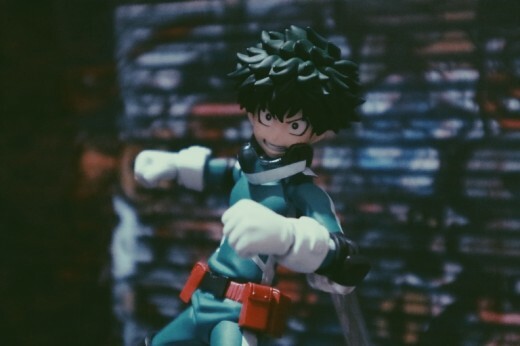 Today we will be reviewing one of the most sought after action figure that we know of, Figma My Hero Academia Izuki Midoriya. It actually isn’t rare, it’s more of a Chase figure. 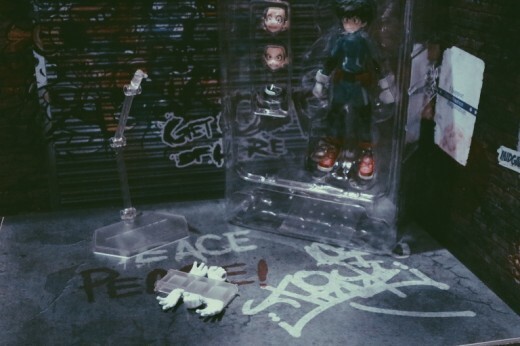 In case you’re not familiar, an action figure is considered a Chase figure if it was released in limited amounts relative to the rest of an assortment, which is basically what happened to this figure. Figma’s Izuki Midoriya is based of a popular manga series, My Hero Academia. 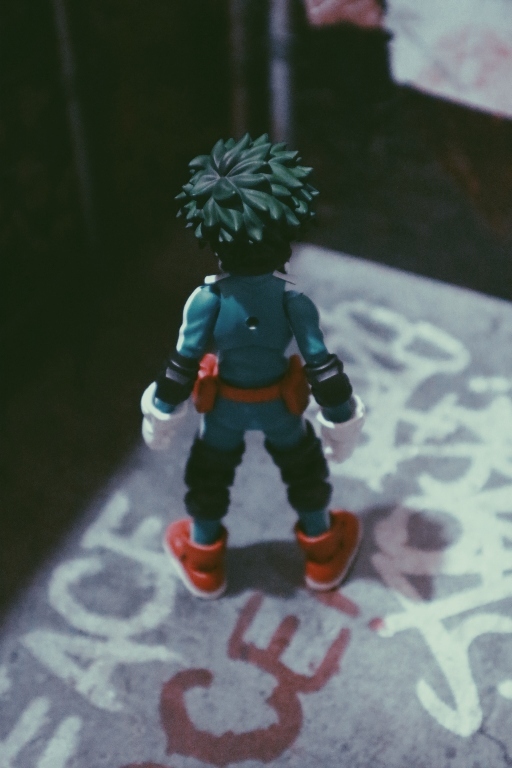 Created by Kojei Horikoshi, My Hero Academia is a serialized manga in the Weekly Shonen Jump. 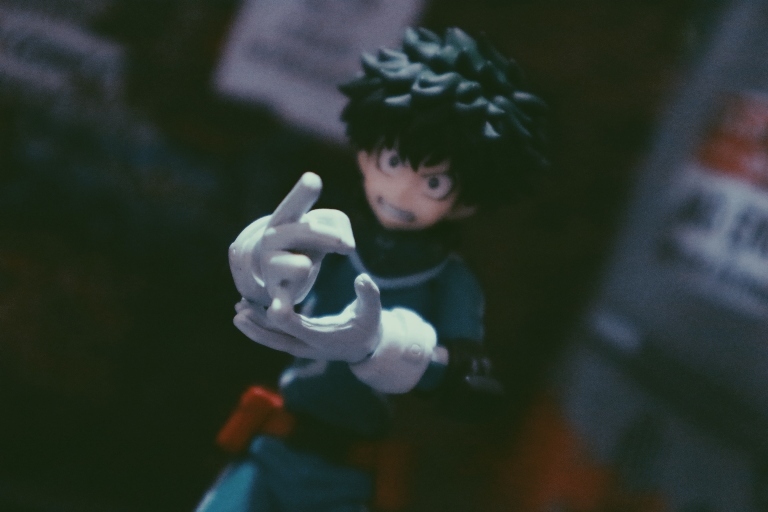 My Hero Academia is also a successful anime, which also just released their third season. 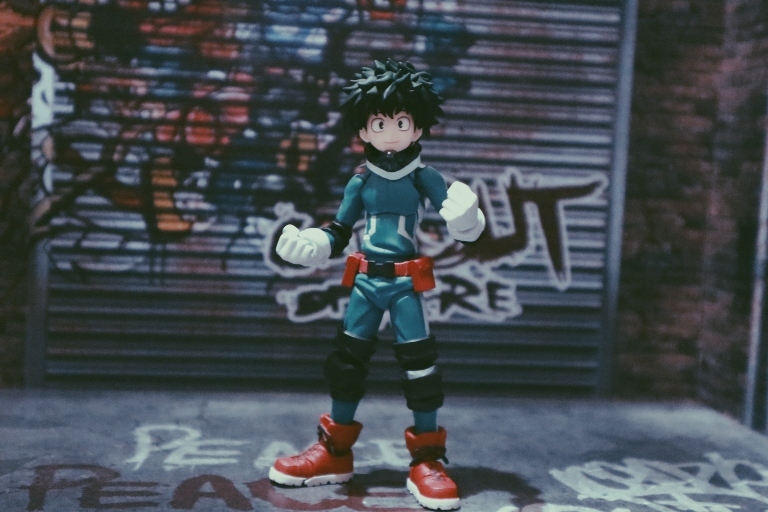 Figma based this figure from the series lead, Izuku Midoriya aka Deku, who was born without a Quirk (powers) but dreams of being a superhero himself. This action figure was released around May 2017 and sold for retail with an approximate price tag of Php 3,000.00. Because of the popularity of the franchise, when the pre-order came out, it was sold-out instantly. The demand was high and the supply was short, so basically you know what happened next. Based from first hand experience, I’ve seen online sellers and groups resell this for double of its retail value! I don’t know what’s with this series, but almost any My Hero Academia collectible released commands a high price. 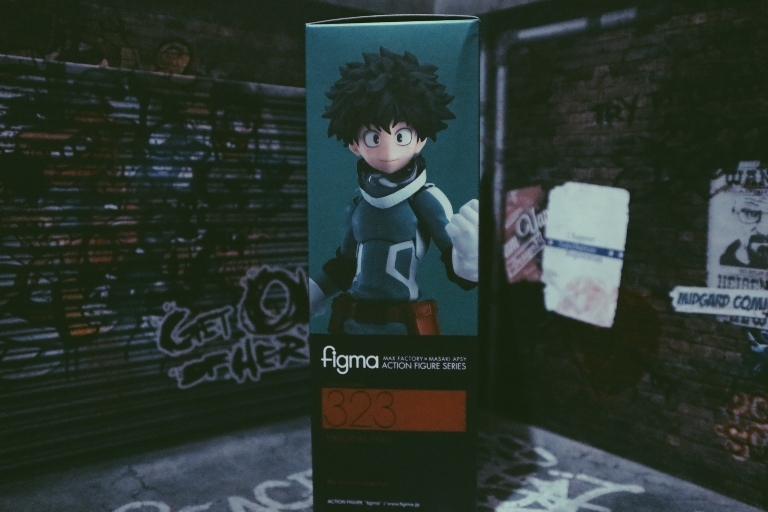 Fortunately, we were able to get our hands on this figure and here’s what we think if it’s worth burning our hard earned cash for Figma’s version of Deku. 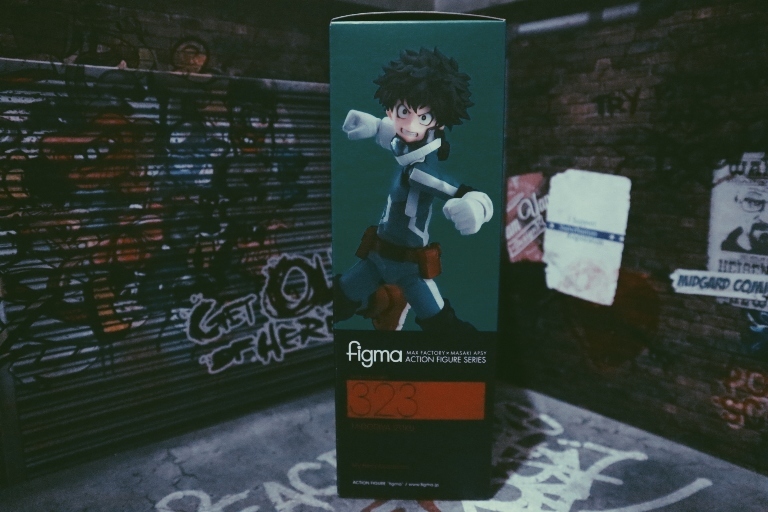 The packaging for this FIGMA Izuki Midoriya is pretty solid. It’s basically the anime placed into box art. 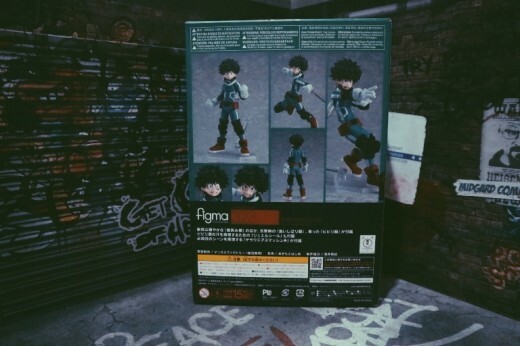 It carries the series’ green color matched with the standard box art for Figma action figures. As expected, even with it’s minimalist design, the box clearly shows the content that you’re getting, along with some photos of Deku on the side and at the back of the box. Accessories, or the lack thereof, is the biggest letdown of this action figure. For its price tage, Figma only offers 3 sets of replaceable hands and an extra palm, his breathing mask, an actiong figure stand, and two face plates. 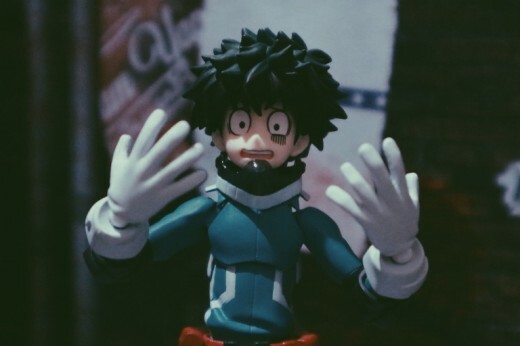 Deku isn’t really a character with lots of accessories and Figma’s version is accurate to this series. 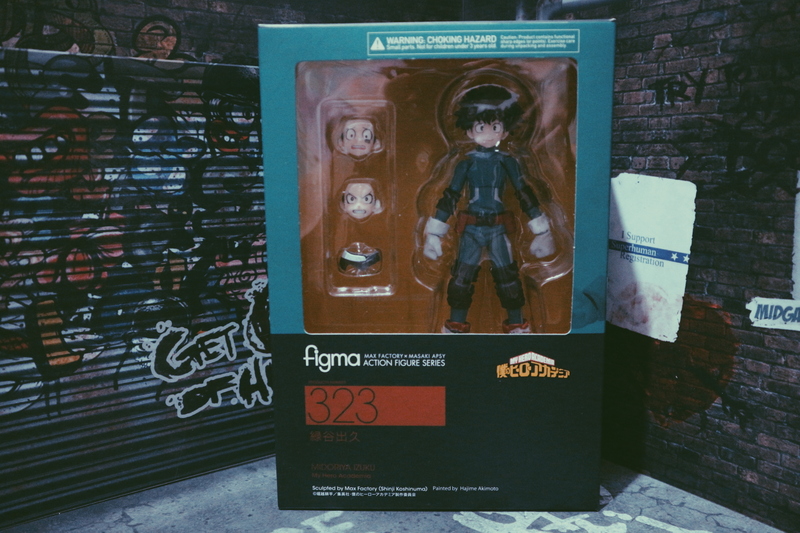 If it weren’t for the price of this figure, I would have given it a higher rating. 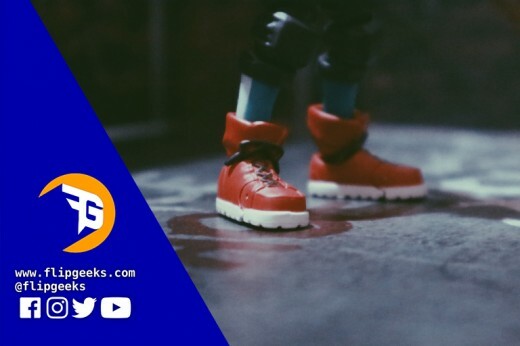 Figma’s reimagination of a character is still among the best in the toy industry. They still produce high quality action figures that depicts the likeness of the original person/property that the figure is based out of. 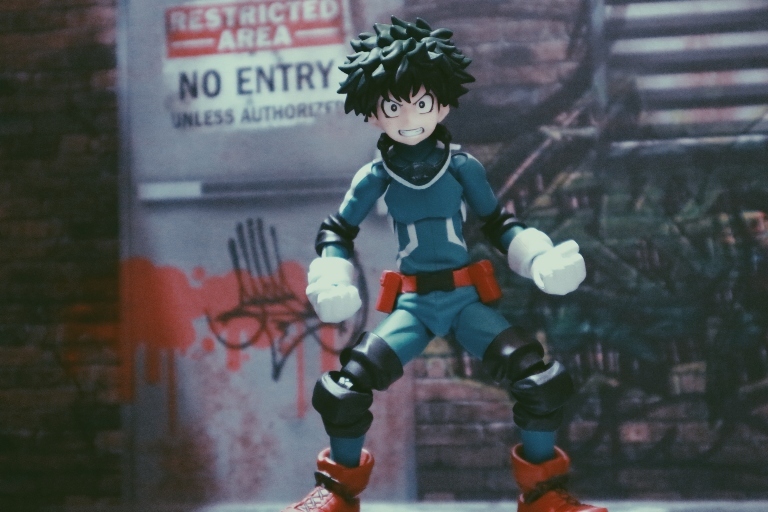 As you can see in the photos, the face plates showcases the different personality of Deku from the anime. 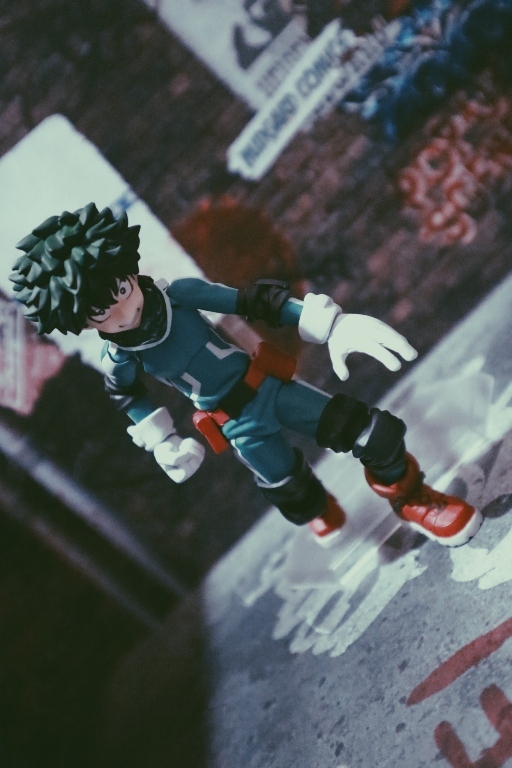 The color scheme and design of Deku’s jumpsuit is series accurate. What this figure lacks in accessories, the articulation makes up for it. 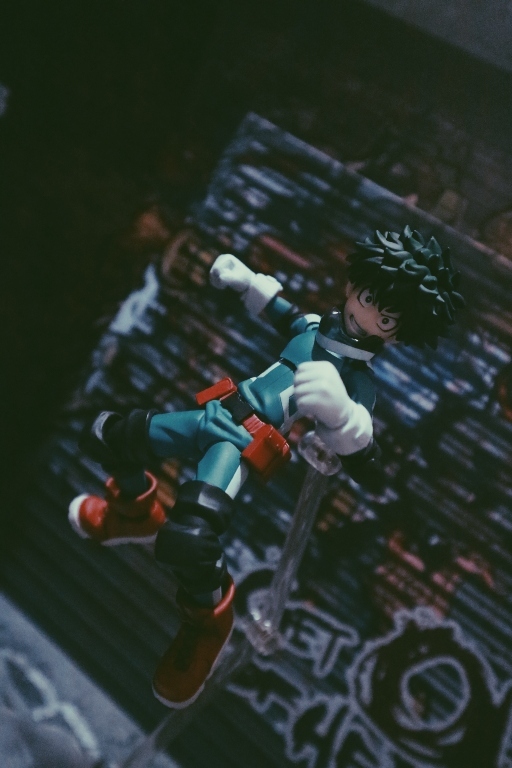 Figma’s Deku offers a number of articulation and is highly poseable. One of the ways I test a figures articulation is if I’m able to recreate the poses from the box art. If I’m able to recreate the poses then the figure is good to go. Even if this figure comes with a stand, you’ll barely use for this figure as Deku can stand on his own while doing a lot of action figure poses. The only times that you’ll be using the stand is when you to try to him in an elevated action pose, like when he’s jumping. Deku’s joints are also tight and the ball joints are sturdy. 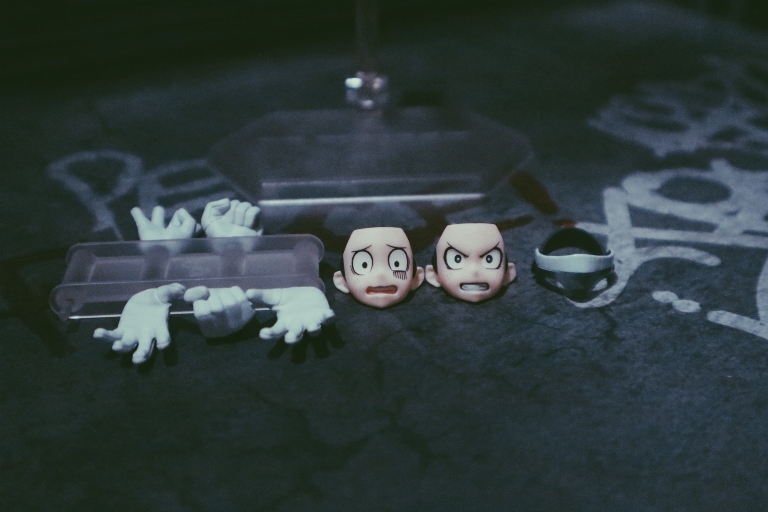 You can replace the different hands and face plates without fear of breaking. Figma’s Boku No Hero Izuku Midoriya is a pretty solid action figure. It accurately depicts the series action figure from the anime into a plastic model. Even with the lack of accessories, this is what you’d expect from a Figma action figure and that’s the part where I think it also failed. Yes, Figma released an exclusive version that came along with Deku’s mask but it also comes with a higher price tag. The inflated price of this action figure is its major deal break especially on it’s resell value. Unless you’re a fan, no matter how great the detail and articulation of this figure is, you might want to spend your cash on something different instead. BOARD GAME REVIEW: Rush Hour Jr – A Solution To Our Traffic Woes?